Is anybody else out there a terrible titler? Naming pieces of writing is one of the hardest parts of the process for me. To give you an idea of just how hard, I offer this confession: in college I wrote a swath of poems as various incarnations of “Untitled” (I was even known to title poems in a series “Untitled 1,” “Untitled 2,” “Untitled 3″…). Pretty bad, I know. What is it about titling that’s so difficult? Personally, I have a hard time being succinct, and it’s even more difficult to achieve that in a title that’s simultaneously meaningful, catchy, and relevant to the work as a whole. Since I have some writing I’ve been putting off submitting for publication in large part because I can’t for the life of me figure out what to call it, I decided it was time to stage an intervention. For myself. I took a long look at titles and identified some major types in hopes that doing so would help me divine how great authors handle such a tricky task. This list is hardly exhaustive, but it’s a start. Some titles refer quite specifically to a particular character; many offer a key description whose significance emerges through reading. Consider using it if: A particular characteristic of your protagonist drives the plot. These titles refer to characters as well, but in more general terms or using only a descriptor as opposed to a specific pronoun. Consider using it if: Something that happens to, or embodies, your protagonist is ultimately more significant than his or her separate identity. Titles that indicate setting can be poetic or plain, mysterious or straightforward; what unites them is their shift in focus from person to place. Consider using it if: Where or When your story takes place drives the plot. There’s just something about an -ing verb; these titles feel active, assertive, and suggestive of an exciting read. Consider using it if: An action characters perform drives the plot. Sometimes that’s all it takes. These titles stand out because of their spare clarity; just make sure the word you choose counts for a lot. Consider using it if: You want to pack a punch and can condense the essence of your work into a single noun or descriptor. Poetic language doesn’t just belong in poems. A pretty, descriptive title attracts readers. Consider using it if: Your story is rich in metaphor, you want to call attention to a particular detail, or you want to create a mystical effect. There’s just enough oddness in these titles to make you want to read further and figure out what in the world is going on. Consider using it if: A contradiction in your work can be easily summed up. These titles suggest you’re already in the middle of the action. They’re unfinished; they suggest a question. Which, of course, is a great reason to read. Consider using it if: An important message in your work can also be expressed through concrete action. Titles that relay something people are used to hearing, but not quite, create immediate intrigue. Consider using it if: You’re witty and can figure out how to reappropriate a cliché or common phrase to reflect a theme in your work. These titles create a distinct image, concrete or poetic, that elaborates on a key noun. Consider using it if: When you sum up your work, it’s not a single word, but an action, phrase, or description that comes to mind. Particularly common in non-fiction works, two-part titles are generally made up of an interesting hook and a longer, relatively detailed explanation of exactly what the work entails. Consider using it if: A catch-phrase isn’t enough; you want to be creative but also explain exactly what readers will encounter. 1. Remind yourself of your work’s purpose. Consider the big themes: what is this piece really about? What will readers take away from it? 2. Identify the key contributor(s) to that purpose. If you had to choose one element from your work to embody that theme, what would it be? A single character? A particular action? Setting? Jot down thoughts about how theme is revealed in your work. 3. Make it pretty OR pare it down. Poetic imagery and alliteration can enhance a title, unless the clean look of a single word or direct phrase better suit your purpose. Experiment with both to decide which works best. How do you decide on a title for your work? Do you have any strategies that work particularly well? One of the best articles I’ve read on titles. For me, the title (almost) always comes first. Occasionally the title refuses to come. For those occasions, the advice here will be enormously helpful. I like that the advice requires pro-active selection, not just waiting for inspiration. Thanks so much, Hannah! I love being inspired, but sometimes writing needs to get done even when I”m not, and in those cases I always like to have some strategies in my back pocket. I think it’s so interesting that the title usually comes first for you. I imagine that would be a helpful guide for the whole piece. Sometimes writing the title (and the summary) is the most difficult. I always have problems with that and keep second guessing myself more about the title than the story itself. I am sooooo bookmarking this post! Thanks for sharing! Thanks, Jane! I’m that way too– I spend so much time deliberating and second-guessing titles. It just seems so important to get them right, as they’re the first impression anyone has of your work. creating a title for my first novel was such a frustrating process and even now I second guess it and wish I’d come up with something different, something shorter, with more punch. wish I had read this article first. great advice. It’s amazing how much frustration comes with titling. I checked out your site though, Zoe, and I really like that novel title! Pulls me in for sure. Thanks Olivia, but all credit goes to this blog’s creator Suzannah Freeman! She really has put together an amazing resource for writers. Great post! All points that should be clear are very well written. I used to write songs and it’s like the same problem as yours. Thanks for this! Thanks, Frances! Yes, I’m sure titling songs would present a similar challenge. As with stories or poems, there’s the need to be simultaneously succinct and meaningful. I’m currently struggling with a title for a completed manuscript so this post is very timely for me. Thanks for the tips. Will be experimenting with them. Good luck, Pamela! I hope the tips help. Excellent post on the importance of titles. For me, the title is the first hint of what’s to come in a story or novel. Exactly– and that old saying “you never get a second chance to make a first impression” seems to really apply here. It’s important that titles live up to the work to follow! Thank you so much for this. I, too, struggle, and struggle, and struggle with titles. My present venture has had at least 5, each of which seemed perfect at the time. I find that as I go deeper into the writing, I learn that it isn’t always about what I thought it was about, and the title has to change. Great point Ann. Writing is so multi-layered, there might not be just ONE right title. You are most definitely not the only one, Carol! And yes, research papers are also a bear to title. You need to be so specific and all-encompassing, yet also relatively succinct. The name of my novel is “Teatime for the Firefly” (not sure which category it fits in). It came to me in a dream almost, when I was done with the first draft. My main character is a shy, reclusive Indian woman– a “twilight” character. This is the story of her coming out into the world (of British colonial tea plantations). Assam, where the story is set, has deep velvet nights and tons of fireflies. There is also a recurring (troubling) dream she has about fireflies in a lily pond. In my second edit I wove the title into the story. The story is about segregation. Her husband says “you can’t keep the bugs out and let only the fireflies in” (he is talking about building a netted summer room in the bungalow). I have never had second thoughts about my title. I love your title, Shona. It doesn’t need to fit into a category of course…but I’d say it combines “Poetic” and “Surprising” pretty nicely! In any case, it’s engaging. How fascinating that it came to you in a dream– it fits nicely with your character’s dream, actually! Title for me are always easier after the story is written and often come to me in a single instant, normally when I”m not looking for it. :} Until I have a proper title I use a working one, which aren’t all that catching but work well to save files under. I think my best title change was Chrsiteen’s Fairytale to Holy Horses. Cathryn, the working titles are definitely helpful “placeholders” while we wait for that moment of inspiration to strike. I have to agree about your title change– it’s great! “Holy Horses” has poetic alliteration, surprise, intrigue…excellent. And now I’m going to hop over and check out your blog post. I’m sure titling chapters presents a whole new level of challenge! Love this post! Years ago, while working on my first novel, I was out with some writer friends (a poet and a fellow fiction writer) — but much more accomplished and widely published. When the fiction writer asked me the name of my (literary) novel, I said “Ohio Summer,” which really summed up what the book was about… but they both said it was awful, didn’t evoke anything. So I re-titled it “Nothing But the Dead and Dying” after a line in an Art Garfunkel song (“Nothing but the dead and dying back in my little town”) because it really — for me anyway — captured the mood of the book. When Baskerville Publishers accepted it, they said the title should be changed to “None But the Dead and Dying.” Who was I to argue? 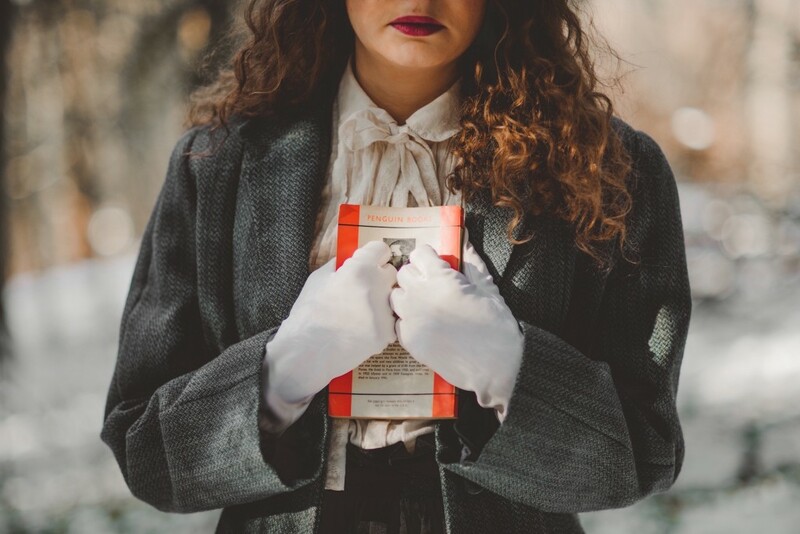 Describing what a literary novel is all about is hard enough, but when the title isn’t really evocative in the way it needs to be, attracting readers is even tougher. Thanks for a post that should help make it easier!! It is not just the titles I have trouble with, I take hours just thinking of names for the characters and end up changing, and changing again. I am working on my second novel and this time I bookmarked pages I had Googled and spend so much time on names of places and people. Don’t know what will happen when I get around to the title of the novel, your post will be helpful. Khaula–yes, there are so many decisions to make! It seems that each potential name, place, or title must have significance…it’s easy to get caught up in worrying about each choice. I love that Garfunkel song too…yet I also see why your publishers decided to change that first word. For some reason the rhythm seems to work better with “None.” You bring up a great point, though, about intention. You want to convey some clarity about what readers will encounter–it’s hard to balance that with appropriate levels of mystery. This is such a useful article. I will definitely be coming back to this when I need to title something. I’m glad it’s helpful, Ashley! Sarah! What a stellar post. Will tweet it tomorrow. Meanwhile, I seem to come up with titles all the time. it’s the plot that eludes me. Much appreciated, Nina! We should create some kind of partnership between people who come up with titles easily and people who can quickly generate a plot. How come someone like you who’s really good in writing also have a problem in titling articles? That’s one hell of a trivia.^^ Thank you for this tips! Haha, Mariana! I still have a lot to learn. This is a great guide for those who are looking for an idea for a title. The examples you mentioned are good. I’m glad it was helpful, Tamaryn. I always like to hunt down examples–they offer such a concrete way to improve. Thanks for this excellent post! I’ve really struggled with this in fiction and non-fiction and I know my tendency to be wordy is to blame, in part. I have three completed manuscripts and all of them have been through at least one name change. This post gave me a lot to think about, and simplified the process. I’m so glad, Roxanne. I too find it hard to cut down on words. Titles really force you to be succinct, which is good…but also difficult, and it makes it easy to second-guess the process. Paining-over and second-guessing will still be a part of my title choosing process. Thanks for giving me more road to traverse. Maybe it will get me closer. Some good, classic title examples. The title, for me, is always one of the easiest parts. At least half of my ideas come to me first as a title and I develop them from there, and I have a bunch. Titles and ideas are probably what I’m best at, but maybe it’s because my focus is on writing for children? They just come easily, like instinct. And I really like using alliteration in titles, like my unpublished story, Robin and the Red Rug. Sarah this is an excellent article for understanding and grasping the trappings of writing a good title! Really well done. It is very important to have a title that catches an agent or editors attention in the same way the first sentence or two of your query should , however one thing I have learned from my experience with editors is that the very first thing they change is your title. I think it’s their way of making your work their own. Every piece of fiction or non-fiction I have ever sold has had the title changed and most times by rearranging my words. I once wrote an article I titled When Your New Neighbor Is a Developer. The editor changed it to, The Developer Next Door. Another article I titled Tales from the EER; Life and Recovery in the Equine Neonatal Unit. The editor changed it to Stories from the EER; Surviving at the Equine NICU. These are just two of many examples. When I set out to create a title I devote time into making it a hook for agents and editors but I do not put too much of my heart into it because I know that many times it will be changed. That being said…an editor or publisher would never change something as important as your title if they didn’t believe it was for the good of your story’s success. My favorite example of this is the story Wake by Lisa McMann. I read an article once that said she had titled her book about a sixteen year old girl who gets sucked into other people’s dreams, Dreamcatcher. The title fits the theme and plot but doesn’t quite grip you with the same emotion as Wake. This single syllabled title begs for the jacket cover to be read. And that, if you have done your job well, is all you need to hook your audience in. Nice article. Breaking it down into the different categories is a smart approach and should help kickstart the process for anyone that is stuck. My first book was called “Valda & the Valkyries.” I just finisehd the first draft of the sequel which I’m calling “Valda Goes Through Hel.” The title really fits since I not only sent the main character to the Norse underworld, I put her through the emotional wringer as well. I’m definitely bookmarking this. What a comprehensive and helpful breakdown of the different types of titles and when they work. As I work on edits for my book, one of the things that have been suggested to me is to think of a new title (and I am really not very good at them!) so I’m excited to revisit this in a few weeks and see what I come up with. Thanks! Thanks for reading, Natalia. I’m glad the post is helpful and really hope it can help with your book title!